Over the years, readers have written in to me with a wide variety of questions about energy healing and also about problems they’re having in their lives, their health or their spiritual paths. A lot of them deal with universal issues such as loss and grieving, or common questions about energy healing and issues that come up while following a spiritual path, so I thought that they would have some general usefulness. Below are links to a number of those correspondences, lightly edited and with identifiers removed. If an item has a description and a link, it means I have posted it. If it doesn’t, it means it's coming. An energy healer who has lost the ability to sense energy and also has developed pain in her hands when she does energy work, and wants to know what might be going on. A reader who had a frightening experience while his energy field was very open asks how to protect his aura from negative influences. Discussion about the tendency of some relative passive clients who just want you to cure their symptoms, without taking part in the process, and how this rarely effective in the long run. Advice to a woman who has realized she has a natural gift for energy healing and wonders where she fits into the energy healing world and how she should cultivate her abilities. Where Does A New Energy Healer Start? A reader writes Nancy asking, "I'd like to become an energy healer. Where should I start?" A young clairvoyant and empath asks "What in the world is this? Where should I go with this?" What does it even mean to be spiritual? A reader asks how to deal with the physical and emotional pain caused by a long-ago premature kundalini experience. Can a person have more than one intimate relationship and still live a spiritual life? Migraine Relief: Are You Listening To The Language of Pain? An exhausted reader asks Nancy for advice on migraine headache relief. Some alternative treatment ideas, as well as encouragement to explore whether there’s a deeper dynamic at work. A sister desperately wants her sister to be healed from cancer, but feels she herself does not have the ability to help her. Can Energy Healing Help Me? A woman who is miserable and lonely in her life wants to know if energy healing might help her. A wife hopes that energy medicine might be able to help repair and restore her marriage. A young person feels extremely desolate because of his concern with the suffering of the world and isolated because he is more concerned with spiritual life than his peers. How can an empath with a broken heart heal? 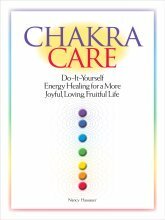 Advice about healing and managing the heightened openness of the heart chakra. My fiancé doesn't get any pleasure making love. Is there a particular chakra I/we should work with, or are there other things we can do? Advice to a woman who has created a lot of difficulties in her life, and is having trouble moving forward out of grief, anger and shame. A reader wonders about the significance of unbearable noise that is driving him crazy. Please note that I am not a medical professional or mental health professional. The advice I give to readers, like everything else on this website, is not intended as medical or psychological advice. Energy healing is not a replacement for conventional medicine or psychiatric care. Whenever you have concerns about your health or mental well being, you should seek and follow the advice of a qualified medical or mental health practitioner. Go from Energy Healer Advice to site home page.